There was a study conducted by an atheist scholar at Princeton. What he found was that when a culture moves away from an identity based on God, one of the first things they turn to is romantic love. This switch in America turned love into a means of self fulfillment. This is completely different from what the Bible calls love. We’ve all heard that love isn’t a feeling but when a person thinks that a relationship’s ultimate goal is to make them happy they aren’t focused on what’s good for the other person; they are focused on what’s good for themselves. This isn’t love. Paul in 1 Corinthians 13 also says that love isn’t an action either. He says that if you prophecy and have not love, you are nothing. If you give up all you have to the poor and have not love, then you gain nothing. If you even give up your very own life and have not love, then you gain nothing. Paul is saying that you can do these things and not have love as the motivating factor; that we can do these things with self interests as the motivating factor. Then he says, that if love isn’t what is driving you then it’s all worthless. So what is love? Love is defined as a deep desire for the other person’s good. This definition seems obvious, but we often say we love when we are actually more focused on what the other person can do for us. Real love keeps us going when the relationship doesn’t benefit us anymore; when we no longer feel anything. Real love also keeps us going when there is no one around to see what we’ve done. Love is defined as a deep desire for the other person’s good. It’s fitting that Paul would place this chapter on love right after he talks about the body of believers functioning as one unit to benefit the whole. He’s saying that there’s no way to live in the unity God has called us to unless we have the self-effacing love that is just as concerned about serving the people around us as we are with meeting our own needs. The problem with serving others this way is that they’re sinful. Their irritability, impatience, and lack of appreciation can make loving people seem like a lost cause. We have to remember though that we are just as sinful as they are. We make it difficult for others to love us. But if you have a people that are committed to loving each other then they grow together. When you have people that are committed to each other then they use love to contend with sinfulness. And love changes people. The answer though can’t be that we just grit our teeth and serve each other more or we are back to the original problem; actions without love. So what’s the solution. Have you ever heard the saying “hurt people, hurt people”. Well I think the opposite is true as well; loved people, love people. 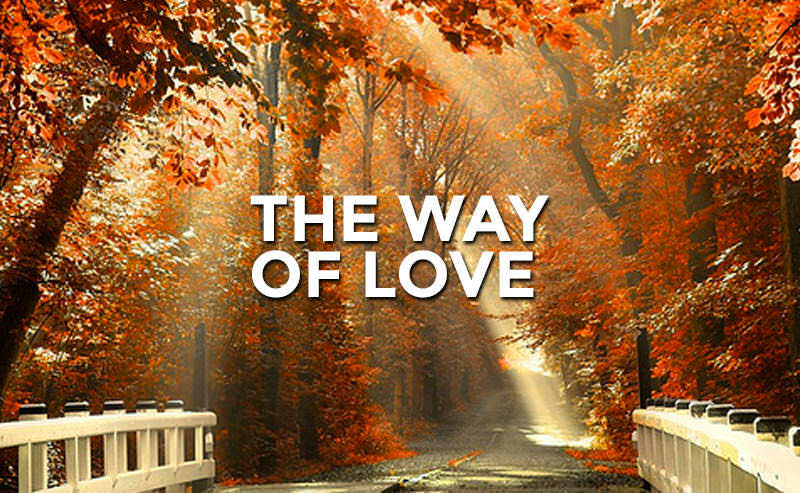 The only way to love this great is to know a love this great. 1 John 4:19 says, “we love because he first loved us”. Our love can’t come from us. We are inadequate to love. But when you encounter Jesus enduring the cross because of his great love for us, it moves you to love in a way that wasn’t possible to love before. It’s the redeeming work of Jesus that brings us before the love of God that produces a response of real love for each other.